Has Sony perfected smartphone face unlock? As good as fingerprint scanners are, they may not be the slickest way of securing your phone in future. Already companies are exploring alternatives, such as iris scanning with the Samsung Galaxy S8, but the method that might really catch on is 3D facial recognition, and it’s set to be shown off at the MWC Shanghai tradeshow next week. 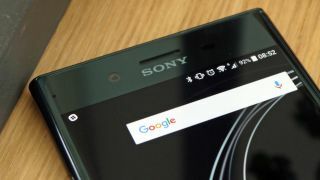 It’s going to be demonstrated on a Sony Xperia smartphone and should prove a lot more secure than the face unlock some Android phones have supported for years, as while that just recognizes a 2D image of your face (and can therefore be fooled by a photo), 3D facial recognition maps your entire head. As well as being more secure, it should also work from more angles, recognizing your face and unlocking your phone even when you’re not fully facing the camera. That should also mean users will get fewer fails when trying to unlock their device, and could similarly make it faster and easier to use than an iris scanner, as that again requires you to face the camera at quite a precise angle. Because you don’t need to touch your phone to use it, 3D facial recognition could be preferable to a fingerprint scanner at times such as when your fingers are wet or dirty, or you simply don’t have a free hand. Whether 3D facial recognition will also be more secure than an iris scanner or fingerprint scanner remains to be seen, but it sounds promising. And while there’s just going to be a demonstration for now, we might start seeing the tech in phones soon, as the company showing it off is SoftKinect – a wholly owned Sony subsidiary. Given that Sony is a major smartphone camera supplier, there’s every chance that it will start selling cameras capable of this soon. In fact, it’s already been rumored that the iPhone 8 will have just such a feature. And packing a 3D depth sensor into a phone opens up other possibilities beyond security, such as mapping indoor spaces and improving augmented reality – which is another thing Apple’s exploring. So this could be the next must-have smartphone feature. Not secure enough? Check out the most secure smartphone in the world.